An alliance of three partners – Welhunt, Oldendorff Carriers and Haivan - will position a Floating Transfer Platform (FTP) in South Vietnam capable of discharging and loading all bulk carriers up to and including Newcastlemax (210,000 tdw) at a discharge rate of up to 25,000 metric tonnes per day. This platform will be the first and only multi-user facility in Vietnam and is specifically designed to be able to handle growing coal imports. Vietnam is currently facing a significant challenge to receive and export growing volumes of bulk cargoes due to shallow ports and relatively poor port infrastructure. Coal imports in particular have grown more than 100% per annum from 2010 to 2017 and the total volume of coal imported is projected to reach 60 million tonnes per annum by 2025. Three strong Partners (Welhunt – Oldendorff – Haivanship) have teamed-up to provide a seamless, cost effective and reliable integrated coal logistic solution for Vietnam based customers. Welhunt is the largest coal importer into Vietnam. Oldendorff Carriers is one of the largest bulk shipping companies worldwide with strong and growing involvement in the Vietnam market. Haivanship is a well-established Vietnamese logistics provider owning and operating tugs and coal barges in South-Vietnam. Oldendorff Carriers has significant experience in transhipping bulk cargo around the world, with over 30 million tonnes of bulk cargo transhipped annually. 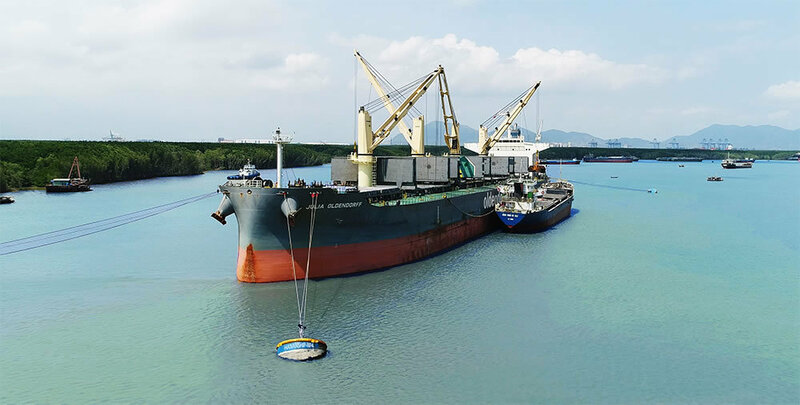 The Floating Transfer Platform positioned in Vietnam has two cranes, hoppers and conveyor belts and will be able to tranship the coal from large ocean going vessels (OGV’s) into shallow draft barges for delivery to customers. By using the largest and most economical OGV’s, the coal can be sourced and transported from any port around the world. 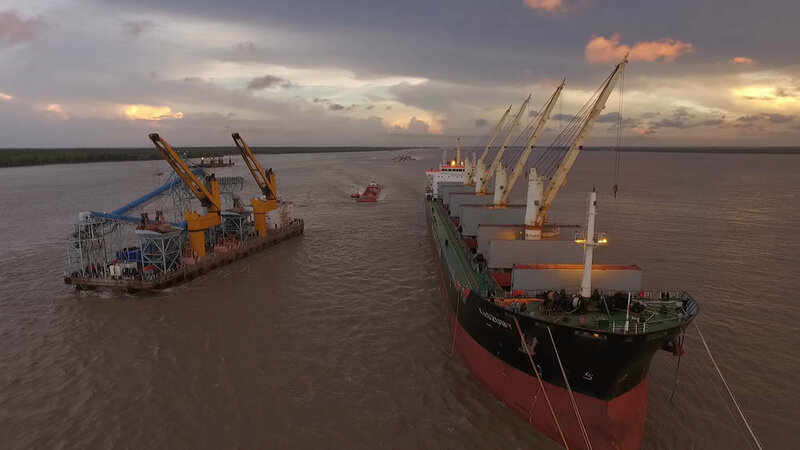 The barges will deliver the coal directly to the jetties of our clients across Vietnam and potentially other nearby markets in an environmentally friendly manner. This door-to-door coal delivery solution will take away much of the transportation risk from our clients and provide a reliable and cost effective logistic solution to meet the coal import needs of Vietnam.